Noel trained in Kaitaia as an electronics technician was registered as a Electronic Service Technician in 1979 and has worked in the electronics industry in Australia and Kaitaia ever since, owning and operating Far North Electronics in what is now called Plaza North for many years before selling the business and starting Aerialtech Services Ltd. On July 28th 2008 the name Aerialtech Services Ltd was changed at my request to alarmtech (2008) Ltd to better reflect the work that Aerialtech Services Ltd was/is involved in (security alarm sales service & installations) there is only a change in name everything else remains the same.Twelve years ago the security industry was very new to me however with my knowledge of electronics and interest in computers and anything that is new found the job interesting, challenging and very rewarding. While still operating Far North Electronics and getting a security alarm installed by Detection Alarms Ltd (now United Security Ltd) a professional relationship developed between our two companies which continues to this day. I hold a current Service Technician’s Practicing Licence and Security Guard’s Licence and look forward to the future in conjunction with United Security Ltd in supplying and installing the next generation of security alarm equipment throughout the North. 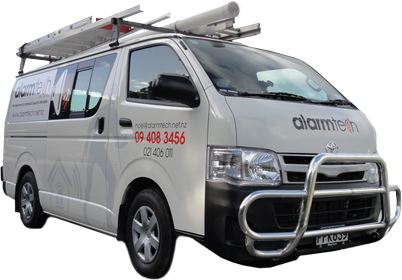 Customer Relations: At Alarmtech (2008) Ltd, our highest priority is satisfied customers. You are important to us and you can expect us to go the extra mile for your business.